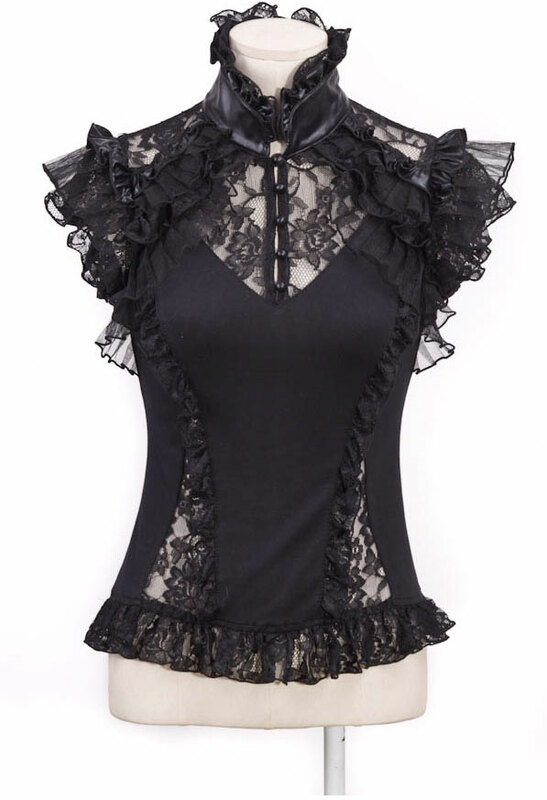 Fatalism blouse with buttons, lace, lacing at the sides and back, and aremoveable jabot with cross. Available in black or white. 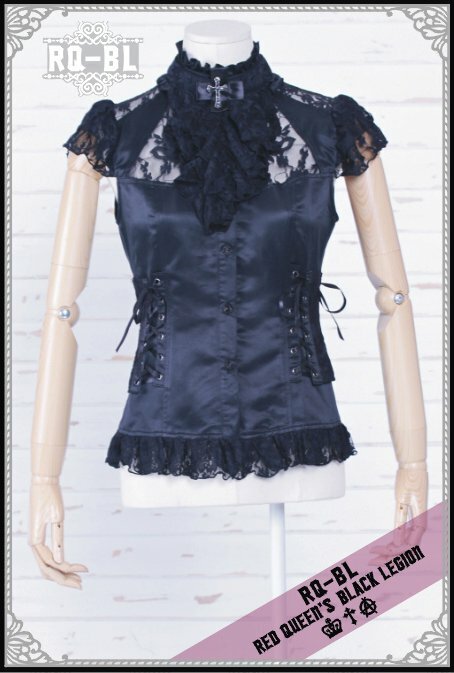 The regular price of this blouse was euro 39.95. 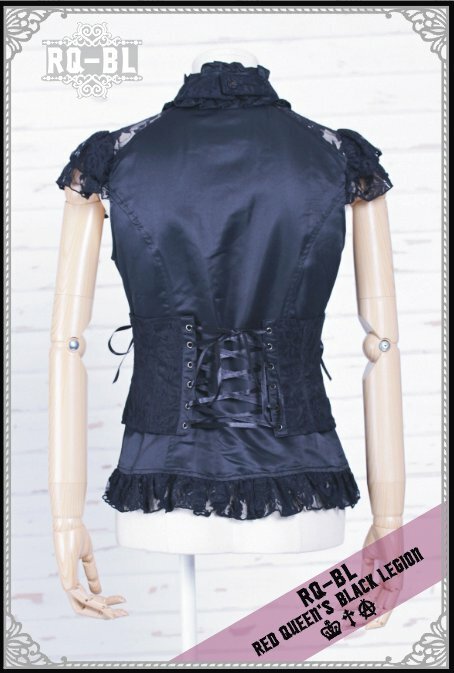 Please notice : the sizes of this blouse run small! Size XL : bust 98 cm, waist 79 cm.